Tiger has tried to live her life in seclusion and peace as a déchet, the last of a humanoid super soldier that was almost eradicated by the war hundreds of years ago. However, now she has been caught in a new danger involving children and women who are being kidnapped and experimented on. For this Tiger will not look the other way. The key to saving them is within Winter Halo, the pharmaceutical company located in Central City. However, even Tiger has her limits and this time, using all her abilities may not be enough even to save herself. 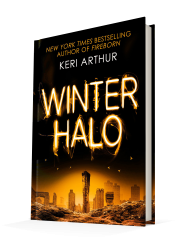 Published December 6, 2016, by Signet Winter Halo by Keri Arthur is the second in her Outcast series that follows the formidable déchet Tiger. What an exciting sequel to follow Tiger, the reluctant hero, but those make some of the best heroes and part of what makes Tiger so amazing. Tiger is exceptional, created to be a lure, a weapon to find the bed of men and women, to be a spy and then their ultimate demise. Her sexuality was her weapon, allowing her to change shape at will to make herself more alluring, but since the war, Tiger has kept to herself. However, now with women and children being kidnapped and experimented on. Haunted by being unable to save the children in her home who were gassed to death in the war for being more creations like Tiger, she is now on a mission to do what she was unable to do a hundred years ago. Her grief and guilt make Tiger a compelling character. Even her past creates a level of depth for the character because while used as an object, she does not let that define her. Tiger uses her charms to fight evil, and right the wrongs done to those around her. She does not let it define her, this quality that defined her military career. The fact she has grown beyond this makes her a compelling character. Tiger has a fierceness about her that makes the reader care about her journey, about her heroism. 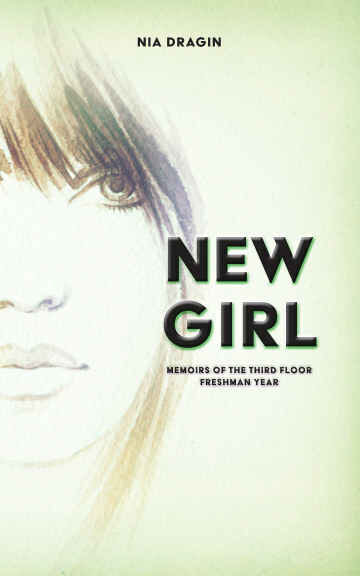 Her thoughtfulness connects to sadness in her past that pushes her forward, and it is riveting, it propels the story and shifts dynamics between the characters, growing and strengthening them.